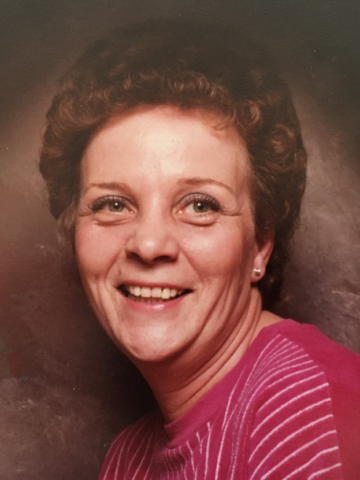 Mary Elizabeth Layne- Age 78, August 30, 2018. Preceded in death by her husband, Robert Layne; son, Wesley Kelton, Jr.; daughter, Anna Kelton. She is survived by one daughter; grandson, Billy Hall and his wife, Billiedean; brother, Danny Phillips; sister, Annie Brown, grandchildren, Stephanie, Stacy, Bobbie, Emily, Edward, Daniel and Jacob; also survived by many great-grandchildren. Visitation will be from 3-4 p.m. on Saturday, September 1, 2018 at Harpeth Hills Funeral Home. A Celebration of Life Service will be at 4 p.m. on Saturday at Harpeth Hills Funeral Home. Interment will follow at Harpeth Hills Memory Gardens. SHE WAS AN AUNT BY MARRIAGE WE BECAME CLOSER AFTER MY HUSBAND PEANUT PASSED AWAY PEANUT WAS HIS NAME SHE CALLED HIM HER (NUT) HE AWAYS CARED A LOT ABOUT HER AND SHE HIM WILL MISS CALLING AND TALKING TO HER AND LISTENING TO HER TALK ABOUT HER DOGS SHE LOVED DOGS SHE WOULD PICK UP EVERY STRAY SHE FOUND AND WOULD TAKE THEM HOME WITH HER AND TO THE VET IF THEY NEEDED TO SHE HAD A GREAT HEART BUT A GRUFF EXTERIOR WE LAUGHED A LOT TOGETHER AND SHE WAS MY BOSS AT TISCO MFG FOR 13 YRS I WILL MISS HER.